This is a Playlist with eight (8) videos about our 16th President’s Air Force! Watch them at your leisure. Enjoy! When a reunion for Civil War veterans was proposed (North AND South together on the same battlefield they met on in war) it wasn’t met with much enthusiasm from either side, but in the end the men put their differences and pride aside, met their former adversaries for a day of remembering and I’m sure healing. The reunions became an annual event with 1913 kicking off the tradition, it lasted until 1938. Battle of Gettsburg veterans. The picture was taken in 1913, at a reunion held on the battlefield. The man sitting on the rocks is a Confederate soldier, and the man standing is a Union soldier. 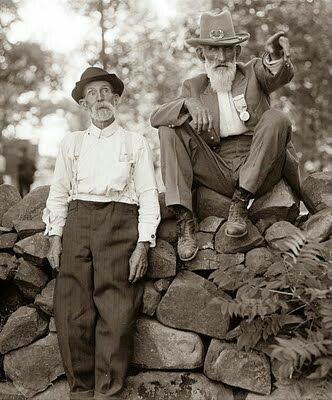 An original photograph of Gettysburg, Pennsylvania. Officers of 50th Regiment Pennsylvania Infantry. It was created in 1865. A battle that lasted three hours, the wheat field in Gettysburg claimed thousands of American Lives. Although the North won the American Civil War, these soldiers are nonetheless, Americans and a very important part of our history. Gettysburg- Troops marching in Gettysburg the day of Lincolns address. November 1863. Lincoln’s speech to the 166th Ohio Regiment shows his capacity for empathy toward the everyday soldier. On August 22, 1864, President Abraham Lincoln addressed the Union soldiers of the 166th Ohio Regiment as they passed through Washington, D.C. It was three years into the Civil War and during this time Lincoln had gained a reputation for giving memorable speeches to Union troops. Conservator Virginie Ternisien works at removing the encrustation from the hull of the Confederate submarine H.L. Hunley at a conservation lab in North Charleston, S.C., on Jan. 27, 2015. Scientists say that after six months of work, about 70 percent of the encrusted sand, silt and rust from the outside of the first submarine in history to sink an enemy warship has been removed. Scientists hope that when the entire hull is revealed, it will provide the clues as to why the Hunley sank after sinking a Union blockade ship off Charleston, S.C., in 1864. This was in my inbox today. Another great piece of history via a(n) US veteran. They really look out for me–making sure I get these wonderful stories to share with you. Enjoy, This one is cool! 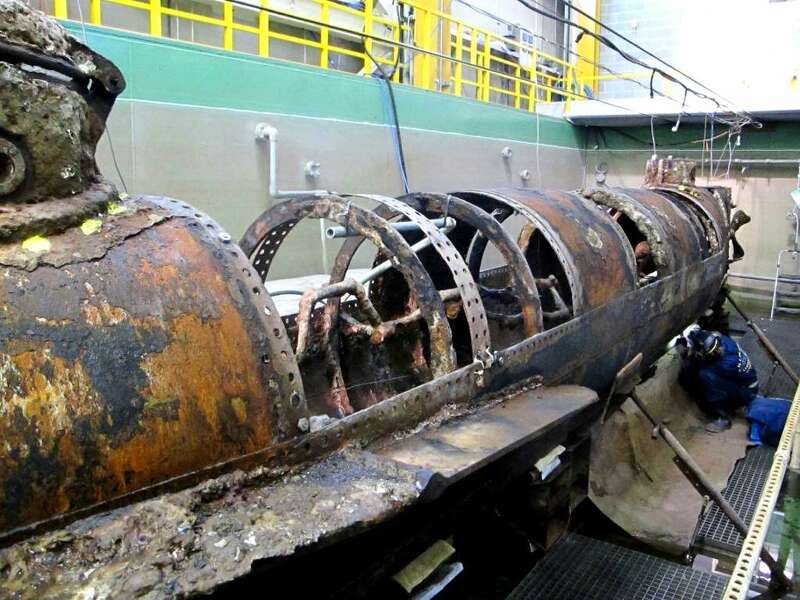 NORTH CHARLESTON, S.C. — A century and a half after it sank and a decade and a half after it was raised, scientists are finally getting a look at the hull of the Confederate submarine H.L. Hunley, the first sub in history to sink an enemy warship. 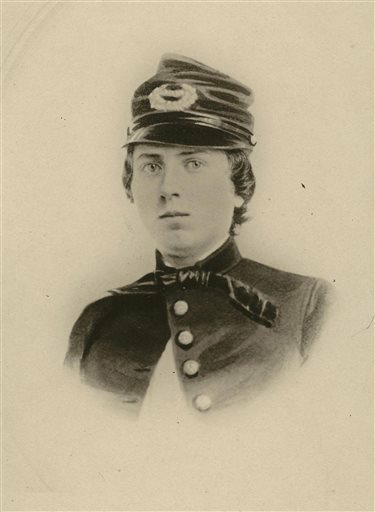 The historical study of women soldiers in past conflicts, such as the Civil War, provides a compelling argument for women in combat. WASHINGTON — A Union Army officer who stood his ground during the Battle of Gettysburg and paid with his life is receiving the nation’s highest military honor from President Barack Obama.